Remove the instrument panel (KOMBI) from the vehicle and use the programmer to edit the mileage.Further it is necessary to perform a quick test , go to the FEM / BDC and click the “Reset mileage” button,The program will check for a supported version of the unit,prepare the unit for the next procedure, and will display the message “Read Eeprom and upload in calc”. DO NOT CLOSE THE CALCULATOR WINDOW AND THE PROGRAM !!!!! Remove the FEM / BDC unit as described HERE. Disassemble the FEM / BDC unit as described in THIS SECTION. (Orange Xprog or others that supports EEprom 95128/95256). Download Eeprom into BMW-Explorer, load Eeprom 95128/95256 and save Eeprom and write it back into the FEM / BDC. Install the unit on the car in the reverse order of removal, and connect BMW-Explorer via OBD.The car probably will not respond to the key, do not get scared! Connect to FEM, press “Reset mileage”, Explorer will propose to program the FEM / BDC, agree and wait for the programming to finish. 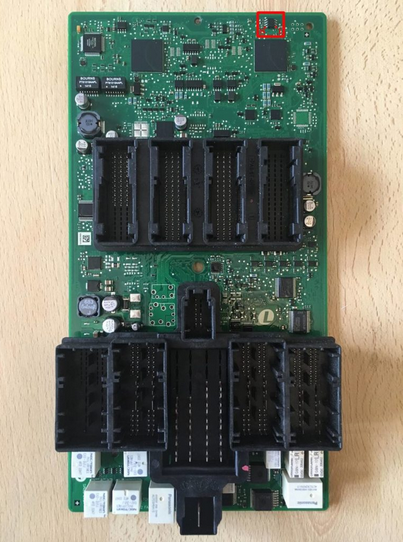 After successful programming, the program will write to you “Return the saved original Eeprom”, then remove FEM again and using programmer, return the previously read contents of EEprom 95128. Then you can install the unit back to the car. Go into the FEM / BDC control unit with BMW-Explorer and press “reset mileage” button and after 3-5 seconds mileage will be successfully reset. Sometimes it is possible that after the last manipulation the FEM / BDC will stop responding to the diagnostics, then you need to flash this EEprom into the unit and program the unit with Esys or ISTA-P and start the unit preparation from step 1. P.S: Follow the instructions and save your time.